The Greater Boston Convention & Visitors Bureau (GBCVB) Board of Directors elected Martha Sheridan as the next President & CEO, making her the second woman in charge of a first-tier market CVB in the U.S. (next to Julie Coker Graham, President and CEO of the Philadelphia Convention & Visitors Bureau). Sheridan has led the Providence/Warwick Convention Bureau since 2006 and generated unprecedented growth for the Providence/Warwick visitor economy. Sheridan has over 25 years of destination marketing experience including a two-year term as president of the New England Society of Convention and Visitors Bureaus, as well as Chairman of the Destination Marketing Association International and board member of the US Travel Association. 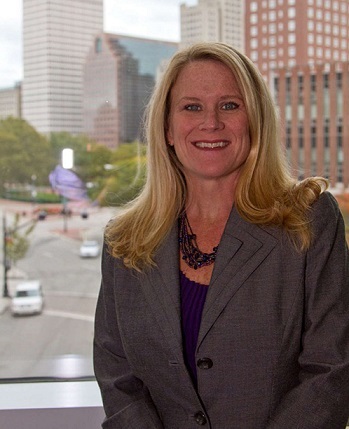 In 2015, she was named one of the “Top 25 Women in the Meetings Industry” by Meetings & Conventions magazine. Sheridan’s predecessor, Pat Moscaritolo, will retire on February 14, 2019 after 28 years as President & CEO of the GBCVB. He played a key role in putting Boston on the map as a global destination and bringing events such as the World Cup, Democratic National Convention, the MLB All-Star Game, multiple Tall Ships processions, and NCAA basketball, hockey and lacrosse playoff games to Greater Boston. The Boston Convention Marketing Center (BCMC) is a joint effort of the Greater Boston Convention & Visitors Bureau and the Massachusetts Convention Center Authority to market and sell the Boston Convention & Exhibition Center, the John B. Hynes Veterans Memorial Convention Center, and The Lawn On D. The BCMC is your single point of contact for event requirement submissions, hotel room blocks, facility contracts, and site visits. To connect with our Sales Team and learn more about Boston’s convention package, visit the Evaluate Boston section of our website.